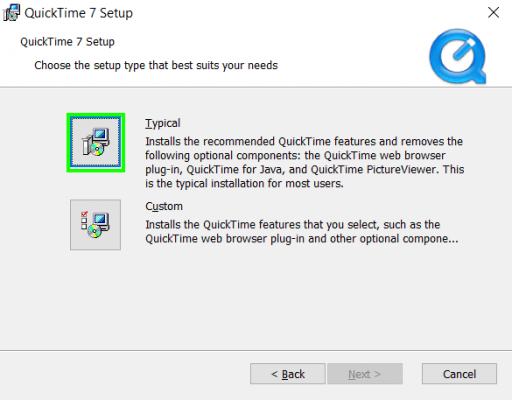 Many users have searched for download Quicktime and the possible ways to install it working on PC. We will discuss here all about Quicktime and its alternatives as well so that you can watch cheerful videos. Videos are the best way to kill boredom and for this, you need the best on the best application. There are a variety of videos available on the internet in a different format. It really becomes tough sometimes when you are not able to play your favorite video which is not supported by your device or software. There is an unlimited video application which claims to run all the possible video formats but is they really worth it. 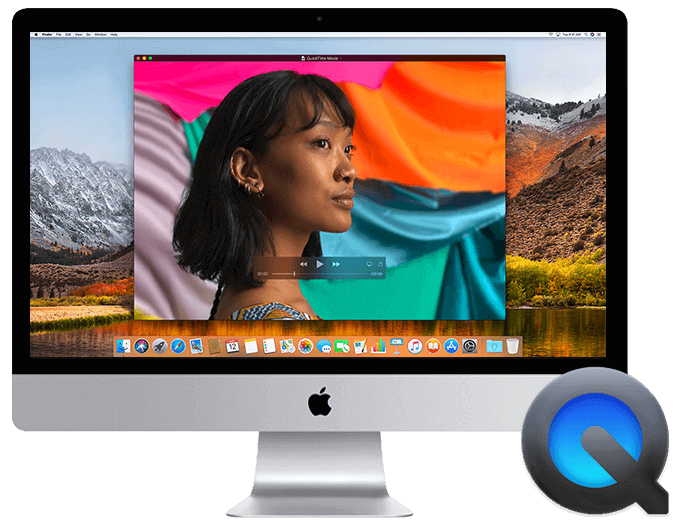 However, Apple Mac and iPhone users don’t have to face a problem when it comes to video in different formats as Quicktime is the complete rescue. 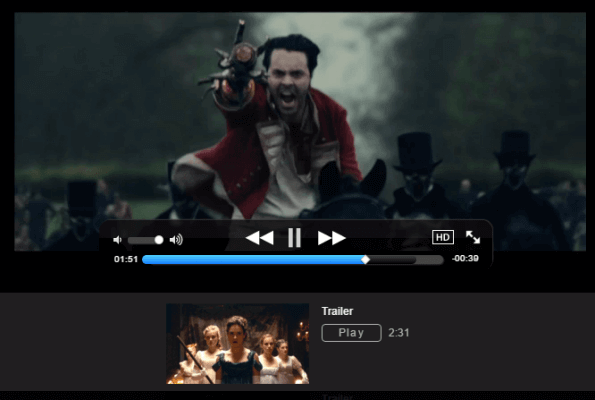 QuickTime Player is one of the most successful players available exclusively for Apple users. Basically, this Player lets users enjoy various file formats on their iPhone or iPad. If you have any queries relating to our articles, then you can visit Gadgetsay Forum. The QuickTime was also available for Windows 10 and other Windows version until Apple officially stopped support for Windows earlier in January 2016. After that many users reported that, the software is not working on their devices. 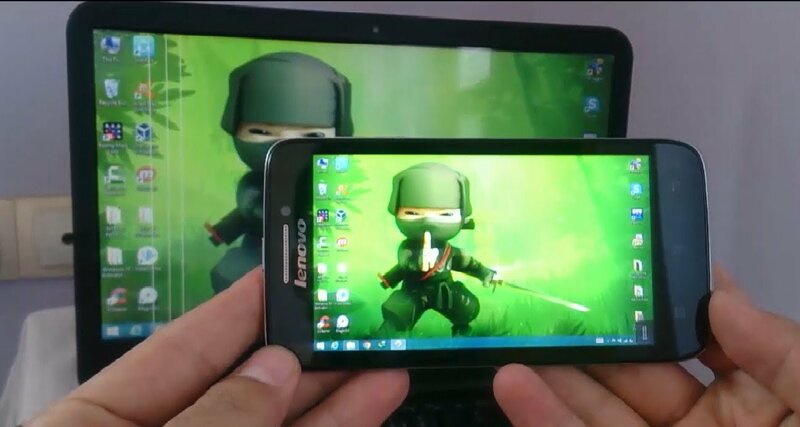 Although if you want to use this app eagerly on your Windows version, then we are here to help you. 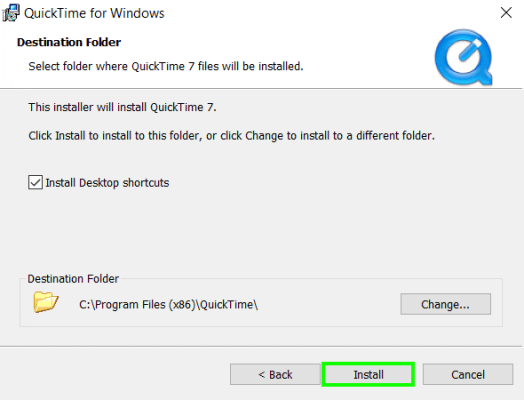 We have brought the quick guide which will help you to download Quicktime in your PC which works greatly like Macs and iPads. At first, we will start with what’s Quicktime for the users who are not aware of this amazing software. Later we will also discuss some great alternatives of QuickTime for the users who have already experience this app. 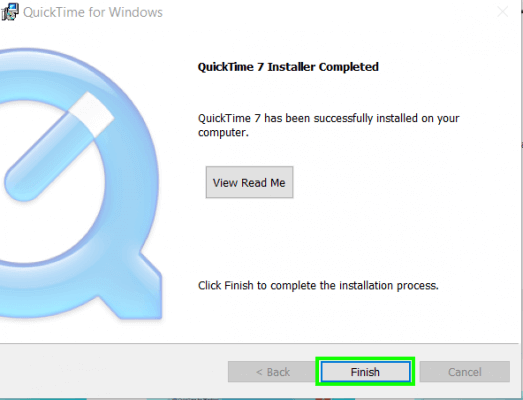 How to Download Quicktime in Windows 10? Basically, QuickTime Player is developed by Apple Inc. It is the official product of the company which is great for all types of videos. It lets the users enjoy playback of QuickTime movie files (.mov) and loads of different file formats such as audio, still images, graphics, and virtual reality (VR) movies>. The app is regularly updated by the company with many exciting features and bug fixes. Earlier, Apple has offered the application just for Windows Vista and Windows 7, but we have got an amazing trick which will operate in Windows 10. In the recent time, the Player has been updated to deliver more improved video and audio quality. It can be efficiently used as it comes in an uncomplicated interface. You don’t have to do anything, just install and stream online videos. It randomly selects the video quality as per the speed and quality of your internet or Wi-Fi network connection. The app has many other specialties which you can experience after downloading. If you don’t have the expensive Apple and Mac devices and want to use this amazing player, then you can get it on your Windows 10 PC. 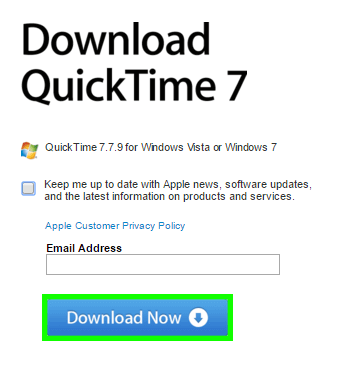 QuickTime is the best ever feature introduced by Apple, but many Windows users cannot use it after it was officially stopped for other devices. After installing the QuickTime application in your PC, you can enjoy watching the HD movie trailers that the company streams online, video clips recorded on Apple devices and several additional videos which are televised all over the internet. So, follow these steps carefully to download the software in PCs. 1. Firstly, navigate to the official QuickTime download page and click on Download Now. It will ask you to enter your email address and tick the “Keep me up to date” box, but you have to avoid these steps. 2. Now click on the file which you have downloaded ‘quicktimeinstaller.exe’. 3. Click on Next> Yes. 5. After that click on the icon beside the Typical. 6. It’s time to install the file. You have had to create a shortcut on your desktop so untick the option if you want to. 7. Almost Done! Click on Finish button. Now, its successfully downloaded in your Windows 10 compatible PC. If in any case, it didn’t run in your Windows Pc, then you can use a Third-Part Software like WinRar. 1. 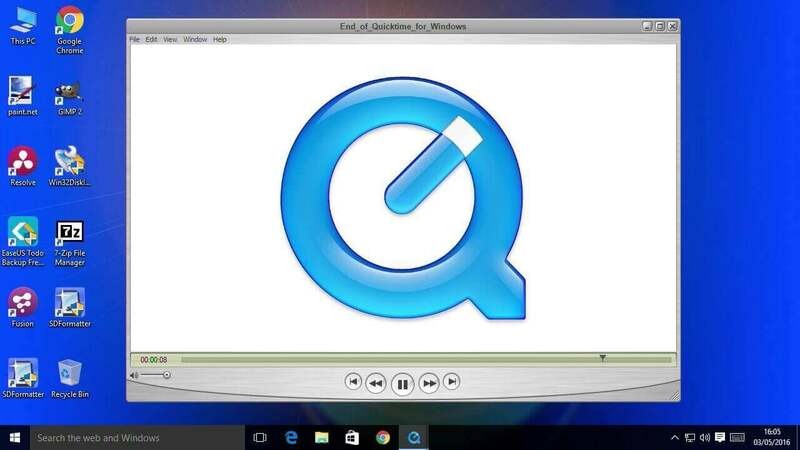 Download the Windows 10 installer for QuickTime in your device. 2. Expel all other versions of QuickTime you have downloaded earlier. You can use IObit Uninstaller Pro. 4. Restart your device and attempt operating QuickTime again. 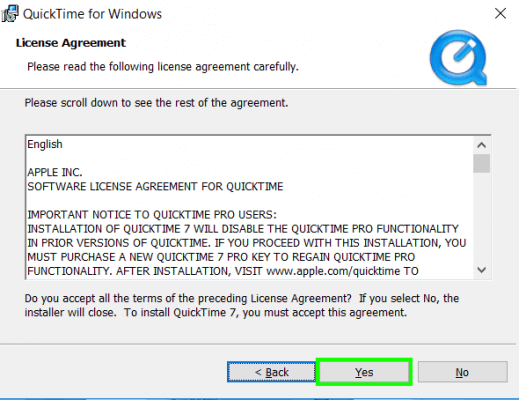 QuickTime Alternative is one of the codec packages that is specially produced by the Microsoft Inc. to validate that the application is installed so that the QuickTime format is also operated with efficiency and comfort. Microsoft is notable for cutting-edge technology evolution and therefore this application can be installed, in particular, it is extremely suggested for Windows as well as Mac devices. It is a full-featured player which has internal decoding backing for DVD, MPEG-2, MP3, MP2, AAC, AC3 and DTS. It is also compatible for initiating Matroska and Ogg cases. Media Player Classic is also competent of operating QuickTime and RealMedia content if these type of codecs are downloaded. QuickTime Codecs are essential for playing QuickTime videos. It helps to watch videos from different websites. If you eagerly want to use QuickTime player, then you can download the alternatives of it. These alternatives will definitely work similarly like this Apple player so you don’t have to worry. However, you will only go for other options if you the above methods didn’t help you out. VLC is a free and open source cross-platform multimedia player and framework that allows you to watch most multimedia files including DVDs, Audio CDs, VCDs, and different streaming protocols. It supports Files, Discs, Webcams, Devices, and online streams. It also supports MPEG-2, MPEG-4, H.264, MKV, WebM, WMV, MP3, and many more. It is compatible with Windows, Linux, Mac OS X, Unix, iOS, and Android. MPC-HC is a remarkably light-weight, open source media player for Windows. It holds all possible popular video and audio file formats available for watching videos. It is free of any spyware, no advertisements or toolbars. It is one of the best alternatives to QuickTime. Clementine is a free and open-source audio player. It is highly based on the Amarok 1.4 to the Qt 4 framework and the GStreamer multimedia framework. The users can download it for their Unix-like, Windows, and macOS. SMPlayer is a free media player for Windows and Linux with built-in codecs which allows you to watch essentially all video and audio formats. It doesn’t require any external codecs. You simply have to install the SMPlayer and after that enjoy watching all video formats without the trouble to attain and install codec packs. QT Lite is the genuine alternative to QuickTime. Essentially, it is a codec package for Microsoft Windows for striking QuickTime media, frequently only playable by the standard QuickTime software configuration of official Apple Inc. So, these were the all about QuickTime and the method to install in Windows. Using these methods, you can efficiently use the Apple’s player in PC. It is a simple method which is easy to execute. The alternatives given below are for all the users who are bored with using QuickTime and also for those who are not able to download it with these methods. 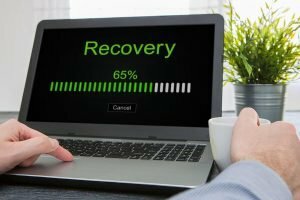 I hope you like this article and will have a good experience with this software. Don’t forget to leave your precious comments below.